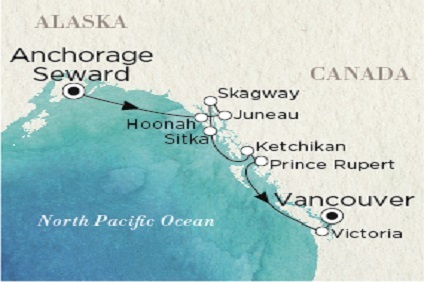 10 Night Cruise sailing from Vancouver to Seward aboard Crystal Symphony. 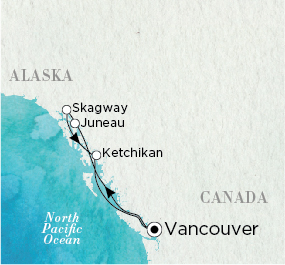 11 Night Cruise sailing from Seward to Vancouver aboard Crystal Symphony. 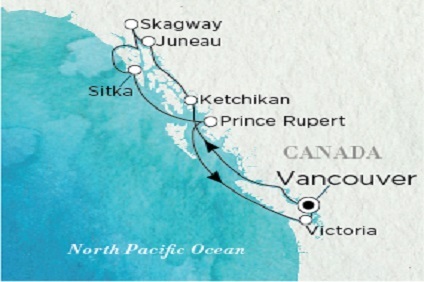 11 Night Cruise sailing from Vancouver roundtrip aboard Crystal Symphony. 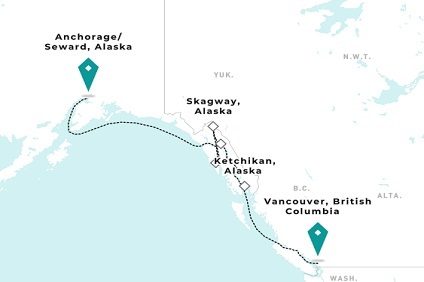 15 Night Cruise & Stay Alaskan Grandeur Cruise onboard Crystal Symphony from Vancouver return including 5-star stays in Vancouver! 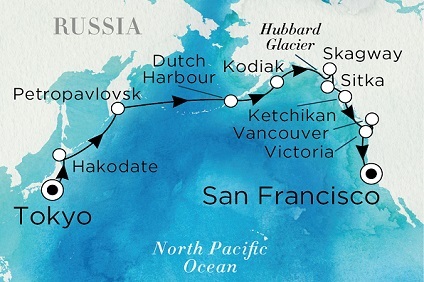 7 Night Cruise sailing from Vancouver to Seward aboard Crystal Symphony. 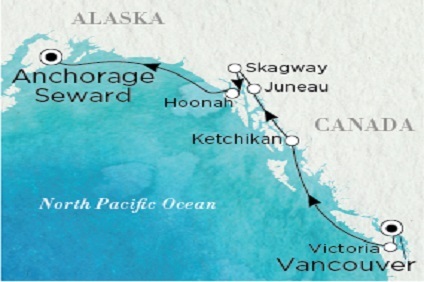 7 Night Cruise sailing from Seward to Vancouver aboard Crystal Symphony. 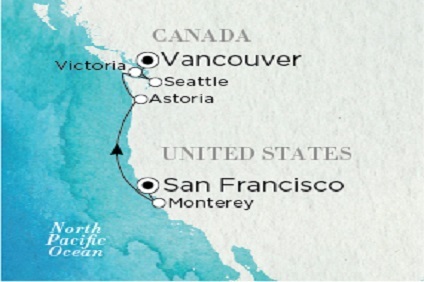 11 Night Cruise sailing from Vancouver to Los Angeles aboard Crystal Symphony. 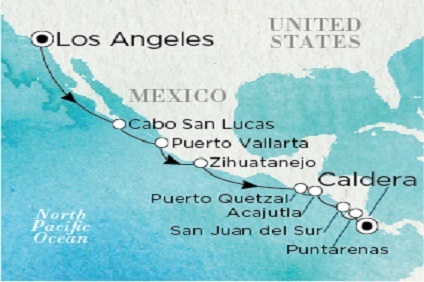 13 Night Cruise sailing from Los Angeles to Caldera aboard Crystal Symphony. 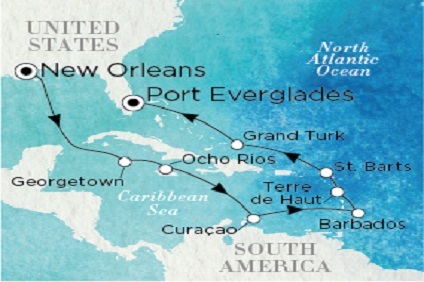 14 Night Cruise sailing from New Orleans to Ft Lauderdale aboard Crystal Symphony. 982 Sq. Ft. 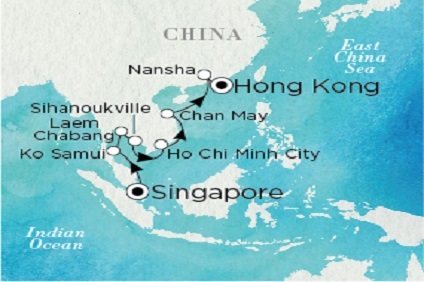 Stylish and elegant, refined and spacious, the finest of all Crystal Symphony’s suites boasts a deluxe master bedroom, the attentive service of your own personal butler, and sweeping views from the stunning teak verandah. LIVE & DINE: Enjoy in-suite dining, socializing or simply relaxing in the comfort of your luxurious living room and separate dining area. A built-in bar, Swarovski chandelier, and custom entertainment center with flat-screen HD TV make you feel right at home. SLEEP: Relax in a luxurious master bedroom that includes a dreamy queen-size bed or twin beds and features you’ll love including his & her walk-in closets, fine Frette linens, television, and private access to the expansive verandah. REFRESH: Soak in the stunning ocean views from the Jacuzzi of your lavish master bath, which also boasts flat-screen HD TV, heated floor and bench, separate shower and bidet, and decadent marble features. A separate guest bath includes shower and discreet entry. RELAX: Extraordinary 24-hour butler service enhances your stay in this remarkable suite. Services include packing and unpacking, free pressing and laundry, in-suite dining, reservations for shore excursions, spa and specialty restaurants and more. 491 Sq. Ft. Unwind and entertain in the splendid luxury of your Penthouse Suite, featuring elegant living and bath areas, in-suite cocktails and dining, 24-hour dedicated butler service, and dramatic ocean views from your private verandah. LIVE & DINE: After a day of discovery and enrichment, relax in the sublime comfort of your spacious living and dining area with separate study, or enjoy an amazing ocean sunset and glass of champagne from your own private verandah. 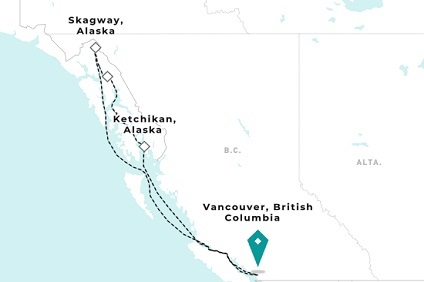 SLEEP: Your luxurious suite features a state-of-the art TV, comfortable queen-sized bed or twin beds with fine bedding and third berth, and generous walk-in closet. REFRESH: Indulge in the spa-like atmosphere of your elegant master bath, which features a full Jacuzzi tub, heated bench and floor, and luxury bath amenities including ETRO bathrobes, kimonos and slippers. RELAX: Relish the comforts of your beautifully appointed suite with 24-hour personal butler service including packing and unpacking, in-suite dining, reservations for shore excursions, spa, specialty restaurants,and more. 491 Sq. Ft. Feel relaxed and pampered in the understated elegance of your Seabreeze Penthouse Suite featuring a luxurious private bedroom, sumptuous bath with large luxury shower and revitalizing body jets. LIVE & DINE: Invite friends for cocktails and canapés or afternoon tea served by your butler in this stylish suite, where a soothing palette of classic ocean hues and private teak verandah offer an environment of peaceful tranquility. SLEEP: Sheer relaxation epitomizes the comfort of your luxurious private bedroom that includes king-size bed or twin beds, walk-in closet, and direct access to your spacious private verandah. REFRESH: Unique touches of your indulgent, luxury bath include a large deluxe shower with body jets, exclusive ETRO bath and body amenities, bathrobe and slippers, and convenient double vanity. RELAX: An attentive butler anticipates your every need, catering to both you and your suite with expert care. Services include packing and unpacking, in-suite dining, reservations for shore excursions, spa and specialty restaurants, and more. 367 Sq. Ft. Warm tones, welcome champagne, private verandah and indulgent amenities highlight the luxurious elegance of this spacious suite. LIVE & SLEEP: Perfectly designed for ultimate comfort, your Penthouse features an inviting queen-size bed or twin beds with superior bedding, vanity and dressing area, flat-panel TV and direct access to private verandah. REFRESH: The master bath features a Jacuzzi, television, separate shower and bidet, Calcutta marble floors, and ocean view. The guest bath includes a shower, discreet entry and exclusive bath amenities including ETRO bathrobes, kimonos and slippers. RELAX: Personalized 24-hour butler service means our staff attends to your every need, including unpacking and unpacking upon request, in-suite dining, reservations for spa, dining and shore excursions and more. 367 Sq. Ft. Families will love the exclusive shared entryway connecting two luxurious, butler-serviced Seabreeze Penthouses. 24-hour room service, in-suite dining, and private teak verandah highlight these fabulous, contemporary suites. LIVE & SLEEP: The beautiful living area of the Seabreeze Penthouse includes queen-size bed or twin beds with soft bedding, vanity and walk-in closet, flat-panel TV, and in-suite tea or cocktails, canapés and dining from Umi Uma and Prego menus. REFRESH: The luxurious double-vanity master bath features a large luxury shower with body jets, and exclusive ETRO bath and body amenities, bathrobe and slippers. RELAX: Personal butler service pampers you with packing and unpacking upon request, in-suite dining, reservations for spa, specialty dining and shore excursions, garment pressing, shoeshine, and more. 246 Sq. 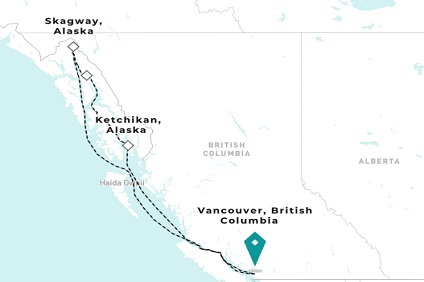 Ft. All-inclusive luxury is yours in this elegant, deluxe stateroom with contemporary furnishings, 24-hour room service, glorious bedding and delightful, private verandah. 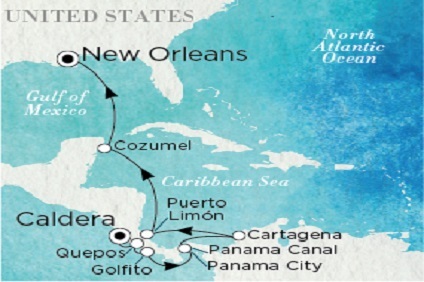 LIVE & SLEEP: This beautifully appointed stateroom includes a comfortable sitting area, queen-size bed or twin beds, sizable wall closet, and private verandah for morning coffee, stunning views and fresh ocean breezes. REFRESH: Your well-appointed bathroom features a full bathtub/shower, ETRO bathrobes, kimonos and slippers, and exclusive bath amenities from the renowned Italian fashion house. 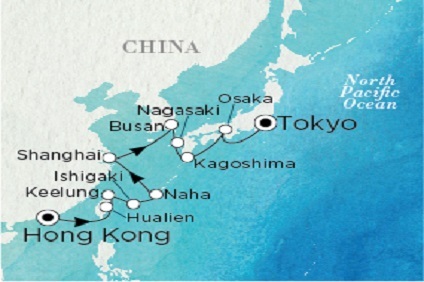 RELAX: The gracious services of your stateroom attendant ensure your accommodations are always meticulously attended to with twice daily housekeeping and evening turndown service. And of course, 24-hour room service. 202 Sq. 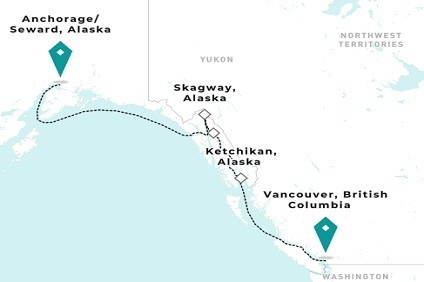 Ft. Travel the world in comfort and luxury in this stylishly-furnished, elegant stateroom featuring deluxe amenities, unobstructed views from large picture window, and deliciously attentive 24-hour room service. 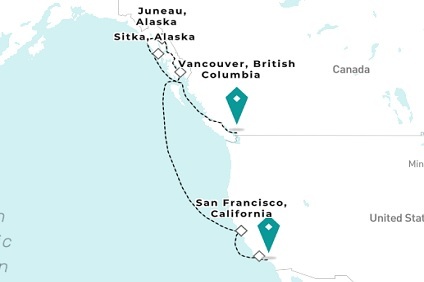 LIVE & SLEEP: Be welcomed into the comfortable luxury of this well-appointed stateroom featuring a comfortable sitting area with soft leather sofa, queen-size bed or twin beds, and spacious wall closet. A large picture window offers gorgeous vistas. REFRESH: Your elegant, double-vanity bathroom features a full bathtub/shower, ETRO bathrobes, kimonos and slippers, and exclusive bath amenities from the renowned Italian fashion house. RELAX: Relish 24-hour room service, twice-daily housekeeping and evening turndown service, all delivered by your friendly and eminently experienced stateroom attendant.